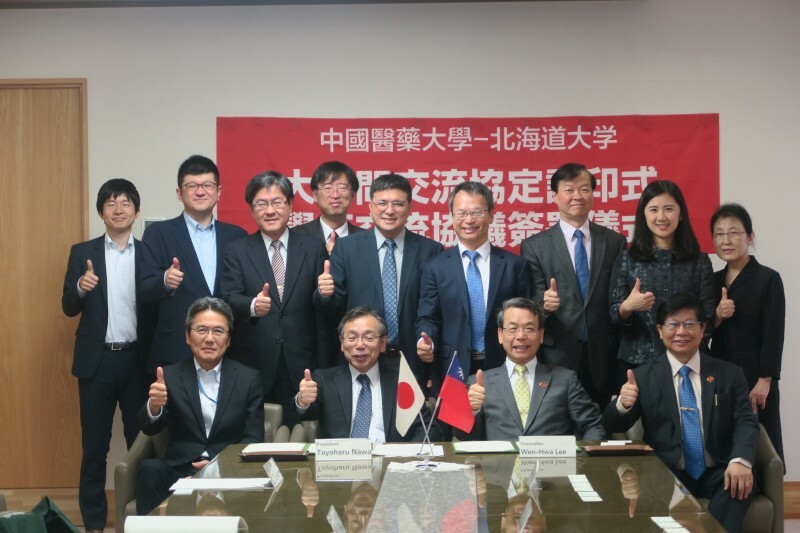 Chancellor Wen-Hwa Lee led CMU delegates to join the CMU-HU Joint Symposium and signed MoU with Hokkaido University (HU). Two universities will start the collaboration of medical personnel between the two hospitals, and strengthen the cooperation on developing cutting-edge medical technology. On June 21st, under the lead of Chancellor Wen-Hwa Lee, CMU delegates visited Hokkaido University, and were warmly welcomed by Chancellor Toyoharu Nawa, Vice president Junji Nichii, and the superintendent of the college of Medicine- Professor Mitsuhiro Yoshioka. Hokkaido University was established on 1876. It is a member of the Imperial Universities, which were established to be the nation's finest institutes of higher education and research. It is considered one of the top universities in Japan. It was ranked 122nd in QS World University Rankings. The university received attention in 2010 when Professor Akira Suzuki won the Nobel Prize for Chemistry jointly with Richard F. Heck and Ei-ichi Negishi. During the symposium, delegates from the two universities focused on discussing future collaboration on the research of cancer, stem cell, Chinese medicine, pharmacy, nuclear medicine and neuroscience. 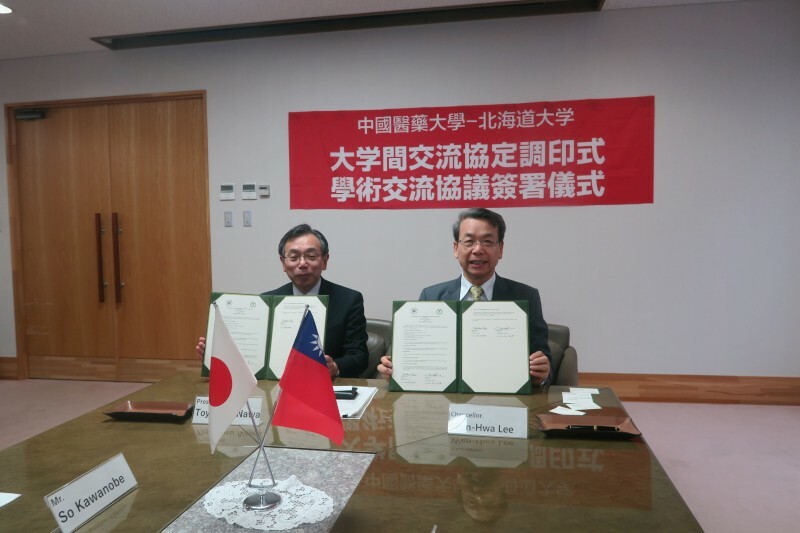 Chancellor Wen-Hwa Lee and Chancellor Toyoharu NAWA signed MoU on behalf of the two universities. In addition, both CMU and HU agreed on holding joint symposium annually, co-mentoring PhD students, and encouraging medical personnel between two hospitals to cooperate for the sake of the joint development of cutting-edge medical technology.